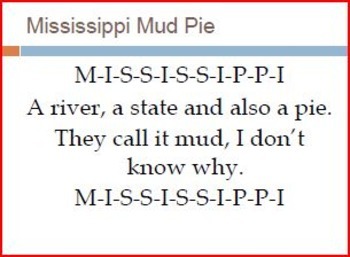 This lesson was designed for 3rd and 4th grade general music classes. Students will create speech ostinatos to create texture in a speech piece. 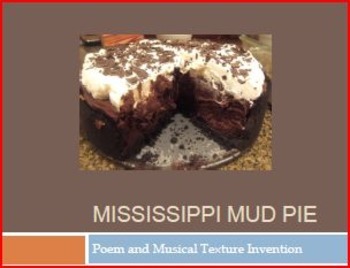 The students will learn a rhythmic poem and two ostinatos that go along with the theme of layers in a Mississippi Mud Pie. 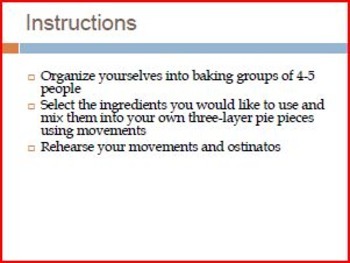 At the end of the lesson they will create their own "pie composition" using the name of ingredients. This contains a PowerPoint presentation along with the lesson outline itself. This is such a fun lesson. The students get very creative and have a great time working in groups.